Can you recall a time when great service simply meant a sales associate with a smile, personalised service was confined to local independent stores where shopkeepers knew our names and preferences, and the only form of automated service we encountered were clunky vending machines that swallowed our money and yet refused to dispense our crisps without a really firm shake?! We can, and the contrast of this memory versus the reality of service today is really interesting to explore. Like many other facets of physical retailing, the way that we serve our customers is undergoing dramatic change. could be their greatest differentiator in-store. As we embrace the almost endless possibilities of physical and digital retailing today, there has never been more ways to offer customers incredible service, from enhanced levels of human interaction to the possibilities of personalised, frictionless and automated service. Here we outline four of the most notable design directions, exploring best-in-class brands that are taking the notion of service to new heights. With so much information available online, the reality is a great many people enter a store knowing as much as the sales associate, if not more. Yet, a recent study by Momentum found that 90% of 1,000 customers surveyed said they were more likely to buy in-store when they’re helped by a knowledgeable member of staff. It seems we greatly value service, but it’s the way that its delivered that counts. The ‘hard sell’ now feels completely out of touch and this change demands a fundamental shift in retail culture. We are seeing several retailers taking steps to empower their salespeople to become brand ambassadors and investing in staff training in empathetic soft skills and greater autonomy. 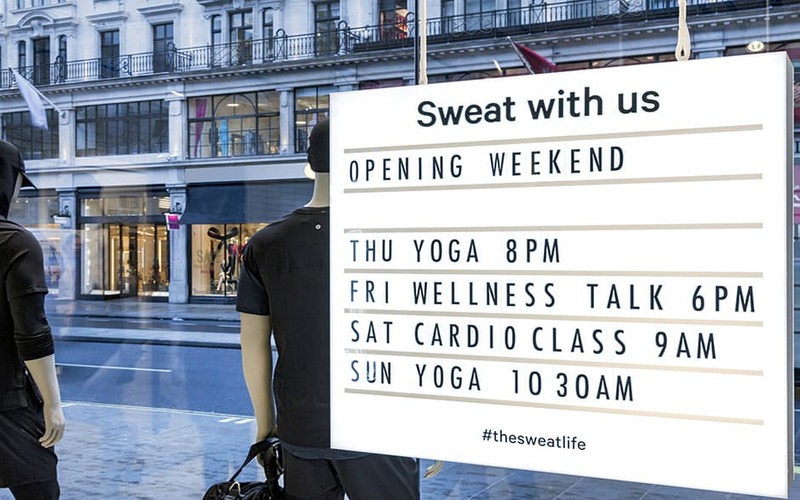 John Lewis recently announced their renewed focus on the seduction of service, launching a super sized training strategy for the opening of their Oxford flagship store. All of their menswear stylists have received one-to-one training by a tailor from London’s prestigious Savile Row. Additionally, all 322 staff members have received voice and body language training from actors at the Oxford Playhouse theatre to boost their confidence and communication skills. 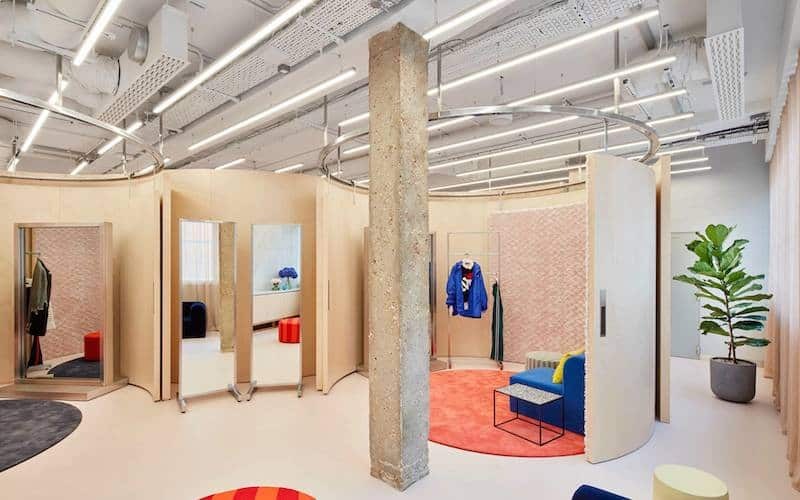 The shift towards the softer, more supportive sell has also sparked a recalibration of the role of consumer-facing staff and we are witnessing a concierge-culture emerge in-store where contextual rather than product knowledge is king. Many brands in the sports sector including Lululemon, Nike and adidas have embraced this style of service; focusing on the core passions and personal concerns of their customers and coaching them towards long-term, positive change. levels of personalisation consumers have become so accustomed to online. According to Stylus, 77% of consumers have chosen, recommended or paid more for a brand that provides a personalised service or experience, paving the way for more extraordinary bespoke concepts. hyper-convenient self-service to private consultation. Meanwhile, in fashion and beauty retailing we are noting a rise in tiered access to private VIP rooms whereby brands such as Gucci, Rag & Bone and Sephora are offering their most loyal customers exclusive access to heightened levels of luxury and service. Digitally, the potential of Artificial Intelligence in this area is also beginning to be explored to great effect, with Burberry, Matches and Browns East in Shoreditch developing apps that allow sales associates to see shoppers’ past purchases, their wish lists and what’s sitting in their shopping bags. AI has the potential to mirror the quality of service we once knew when local shopkeepers took the time to learn our names, faces and how we wish to be served. Delivering personalised service at its very best, but rebooted for the digital age. When we’re shopping in-store today, it seems that our patience is wearing thin! The speed and immediacy of online retailing has raised our expectations and retailers are exploring how digital technology can create frictionless and seamless service and transactions; eliminating the pain points and obstacles in our path to purchase. The introduction of features such as virtual shopping baskets and quick payment processes lends the key characteristics of e-commerce to the physical shopping experience and we have already seen the likes of Rebecca Minkoff, Sephora and Everlane use these techniques to brilliant effect. Amazon looks set to continue to raise the stakes on ‘extreme convenience’, with Amazon Prime setting the benchmark in online retailing with their same-day delivery service. 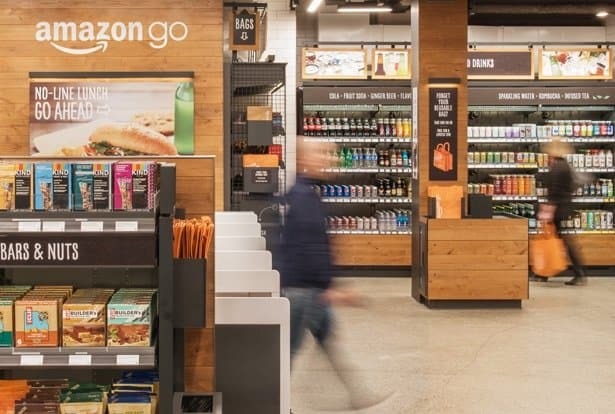 Equally, the Amazon Go store in Seattle demonstrates how facial recognition technology and cashier-free experiences can transform the ease and convenience of shopping in-store. Zara are also firmly on our radar right now. Their temporary click-and-collect store in Westfield provides valuable clues as to the direction they might take frictionless service when they launch their new concept in May 2018. Following Walmart’s lead, we have also noted their recent trial in Spain of pick-up towers for online orders where customers can retrieve purchases in-store without having to bother a soul. We believe that 2018 will be a breakout year for Voice-activated Artificial Intelligence services that make buying faster and more simple. Typing, tapping and swiping will decline as voice rapidly becomes the next frictionless user interface for shopping. In our 24-hour, hyper-connected world, the concept of the fully automated store is naturally gaining traction. Recent statistics suggest that we are becoming a nation of nocturnal shoppers, with UK online purchasing and browsing peaking between 10pm and midnight. The global rise of 24-hour living is also naturally aligned to the demise of the traditional nine-to-five, demanding a new breed of autonomous and staffless stores that can live on after-dark with ease and agility, cashing in on the nighttime economy in the physical world. Clues to the future of automated service can be seen today. 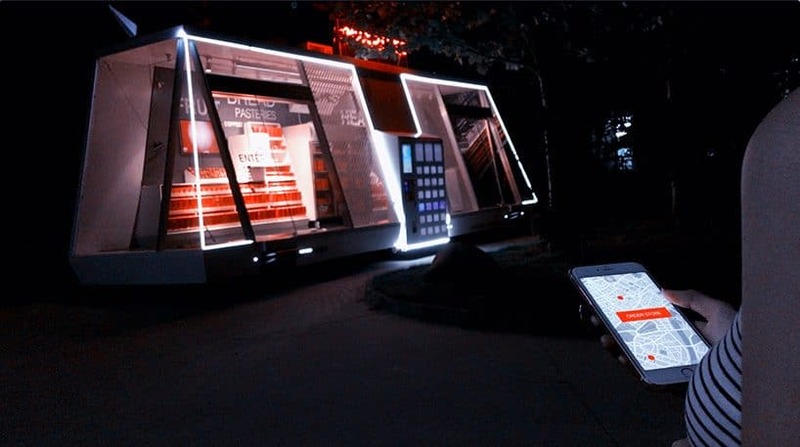 From app-led, remote staff-only stores such as the 24-hour convenience store Wheely’s Moby Mart in Shanghai, that can be ordered to your neighbourhood much like we might order an Uber, to motion sensitive, NFC enabled windows such as the Samsung Air x Touch, transforming store fascias into 24/7 shoppable windows. We predict that the Internet of Things (IoT) and its capacity to create connections between product, place, brand and services will become one of retail’s biggest game-changes in the near future. Looking to the future, we believe that service-led retailing will continue to flourish as it becomes a core part of brand engagement and a key means of differentiation. Although many of the new technologies are in their infancy, what seems like sci-fi today, will be commonplace very soon. As retail designers, it’s our role to embrace everything these new digital capabilities will enable, and weave this into physical retail experiences that are carefully choreographed and attuned to the genuine wants and needs of the customer. Our focus must be placed on taking the pain out of the mundane and transactional elements, while surprising and delighting people with levels of personalised and supportive service they weren’t anticipating at all. It seems that the days of grumpy sales associates and painfully slow transactions are truly numbered and the best retail concepts will deliver service with a smile, but the person smiling will be you!